I hope everyone had a good Thanksgiving weekend filled with lots of good food. After I baked my Thanksgiving desserts (which I’ll share later), I took a much needed break from baking. Last weekend though, during my crazy peanut butter baking weekend, I tried adding peanut butter to the three ingredient Nutella cookies I previously made. 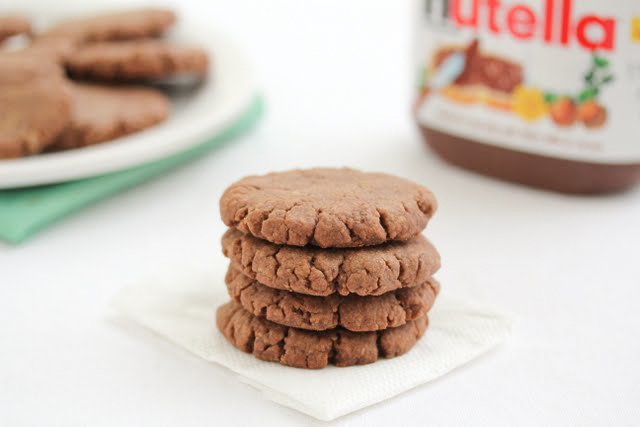 I got the idea from a reader “Stephanie” who shared her variation of adding a little peanut butter to the Nutella recipe. I upped the peanut butter in my recipe, hoping that I could create a cookie where you could really taste both ingredients. And you can. 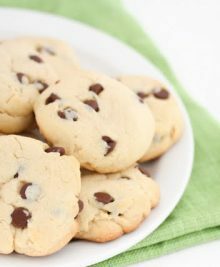 These cookies are really easy to make. They are delicate though with such few ingredients. So if you put pressure on the cookie it does break apart easily. The flavor of both peanut butter and Nutella are very present and intense. It’s a great recipe to make when you’re pressed for time and want a quick dessert fix. 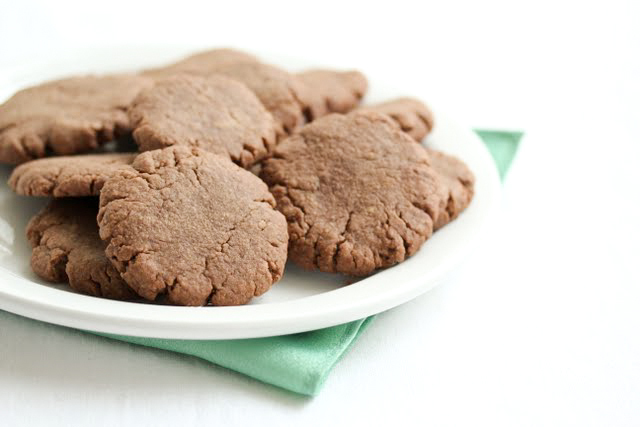 These cookies are easy to make and satisfy a sweet craving. Preheat oven to 350°F. Mix all ingredients with a large spoon until dough batter forms. You may want to work with your hands to properly blend the dough. The batter may be slightly crumbly, but should come together to form cookie dough. Form into 1 inch balls. Place on a cookie sheet. Press the balls down with the palm of your hand until they are round and flat. I smoothed out the edges of the cookies after flattening them though they still were a little jagged and cracked. Space them about 1 inch apart. Bake for 7-8 minutes for the cookies to set. i love these types of recipes with minimal ingredients and minimal clean up! thanks for sharing them! Hi CC- I love them too! Especially when I don’t have the energy for a more complicated recipe! YUM! 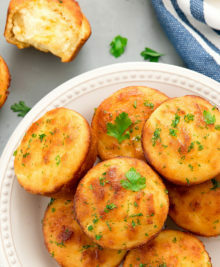 These look great, I am going to make them this week! 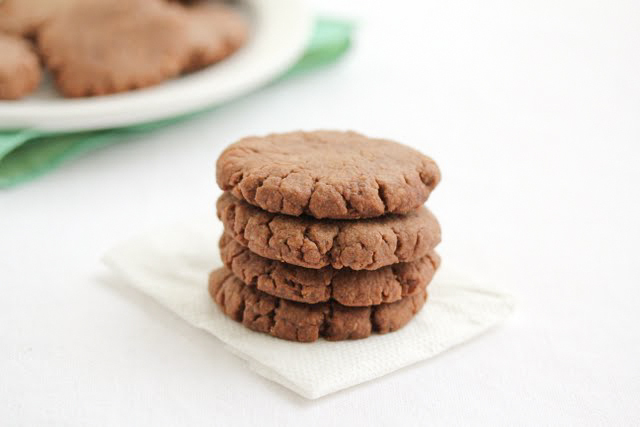 I just tried this but substituted with whole wheat bread flour and they turned out great. Oh that’s good to know that it works with whole wheat bread flour. Thanks! 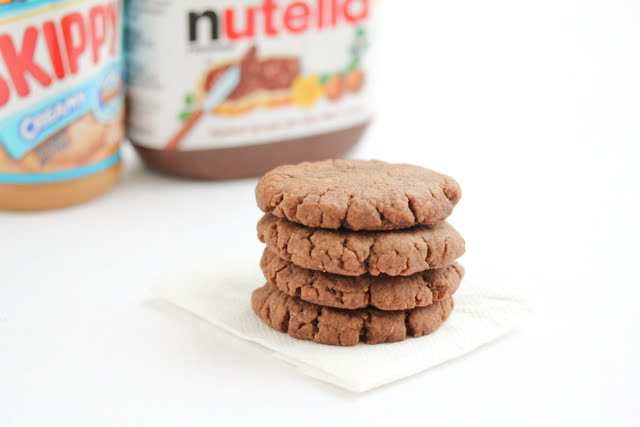 Are these Nutella Peanut Butter cookies made with self-rising flour?